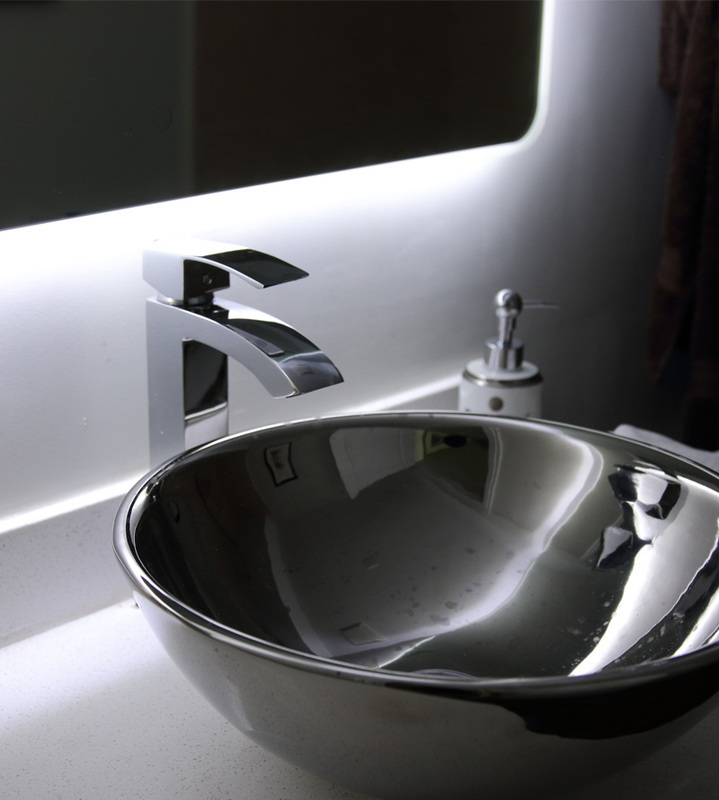 Windbay 36" Backlit Led Light Bathroom Vanity Sink Mirror. Illuminated Mirror., BathImports 70% off Vessels, Vanities, Shower Panels. Windbay 36" Backlit Led Light Bathroom Vanity Sink Mirror. Illuminated Mirror. -Light source: LED (+50,000 hours life span). -Color temperature: 4200K-4700K (white light). -110v AC - 200v AC power. -Power: 110V ac /60Hz to 12v DC. -Standard plug, can be hard wired. -Mounting assembly included. Horizontal brackets. Copyright 2012 BathImports , a division of WindBay corporation. 2001-2015, all rights reserved.